Happy 99th Birthday, Joe Shuster! 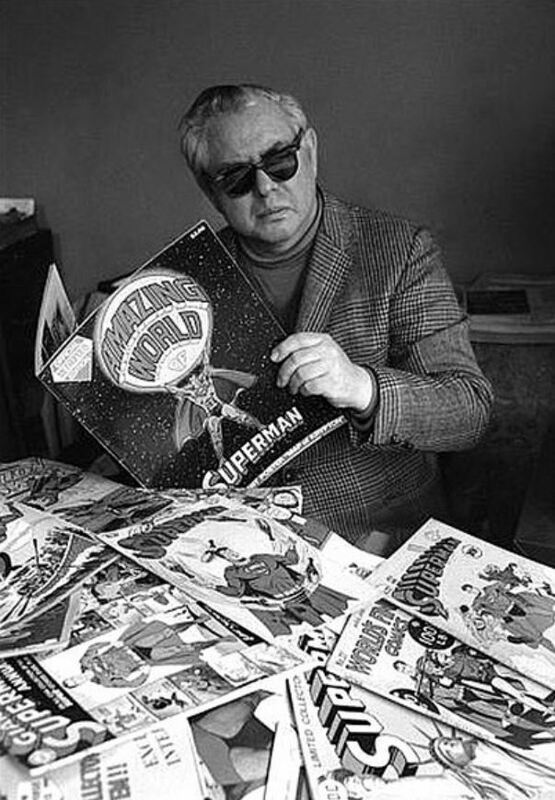 Joe Shuster, co-creator of Superman, was born on this day in 1914 in Toronto, Ontario, Canada. Shuster passed away in 1991 at the age of 78 — had he survived to this year, he would be 99 years old. This is an important milestone year for Siegel and Shuster as it also marks the 75th Anniversary of their Superman character’s publication debut in 1938 (the idea had been kicked around in one form or another for many years before that). To mark the occasion we are holding a birthday party/fundraiser at the Comic Book Lounge + Gallery in Toronto (587A College Street) with cake, a raffle, as well as guest creators sketching for fans for a donation to the awards, included nominee and past winner FRANCIS MANAPUL (The Flash).